Not to be confused with Terry Gilliam's similarly titled fatalistic exploration of sanity as flimsily defined perception, Three Monkeys is an artsy, Turkish, particularly sudsy throwback to films of the '60s, with a beautiful exterior but little going on inside. Deliberate pacing and superior technical achievements, complete with consistent colour palettes and shadows as exaggeration of mood, keep it ahead of the pack despite it being little more than a contrived melodrama about the foibles of money and averted responsibility. With a decided lack of subtlety, the film opens with Servet (Ercan Kesel) driving down a darkened road, eventually descending into complete darkness, later revealing that the political hopeful has struck someone with his car. Fearing public ruin and career death, he offers his driver Eyup (Yavuz Bingol) a large sum of money to take the prison rap for him, ensuring fiscal security upon release. With pop in prison, son Ismail (Rifat Sungar) convinces his lonely mother Hacer (Hatice Aslan) to request an advance of funds from Servet through gentle manipulation and guilt. 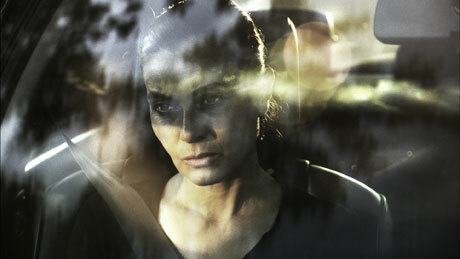 Inevitably, Hacer strikes up a coital relationship with Servet, much to the chagrin of her jailed husband, thus unravelling the foreshadowed tragedy of the film. It's all very interesting, in theory, playing on class distinctions and political transference of guilt, with some moral high ground to boot, but never pans out as more than merely interesting and passable. From a lesser pedigree, this might not be so problematic but writer/director Ceylan has done much better work in the past.